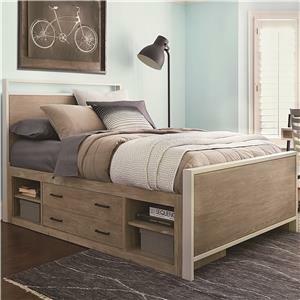 Functionality and comfort ensures that this Guy's Reading Low Post Bed will create a lasting impression for a long time to come. 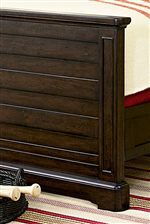 The headboard and footboard are created with a horizontal plank-board panel design and round finial post ends, giving it an aged yet refined appearance. 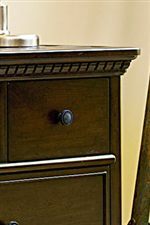 The natural look of the mineral-streak poplar wood with the Molasses finish work together beautifully to give off an authentic, rustic feel. 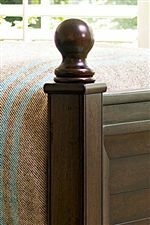 Adding a touch of class to the bed is a capital molding, sturdy bracket feet, and panel siding. 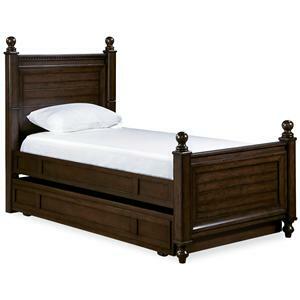 Perhaps one of the most interesting parts of this bed is the gadget hidden within the left post. The post opens to reveal a LED snake light that can extend out to provide reading light. Reading in bed has never been this easy! 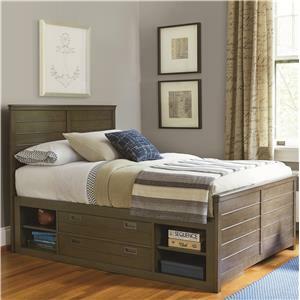 Also included with this bed is an under-bed storage unit. The unit features one large drawer with a removable divider, and one adjustable shelf in each open area. For convenience, the unit can be used on either side of the bed, depending on your room arrangement and what works best for the given bedroom floorplan. 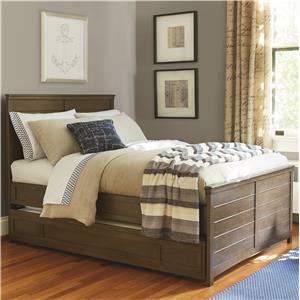 Space efficiently, organization, practicality are all meshed together as one with this bed. Available in Twin and Full sizes. 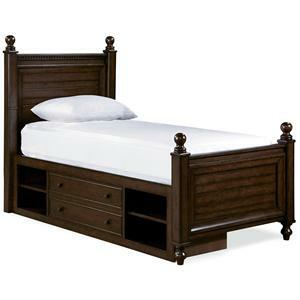 The Paula Deen - Guys Twin Guy's Reading Low Post Bed with Underbed Storage Unit by Smartstuff at Mueller Furniture in the Lake St. Louis, Wentzville, O'Fallon, MO, St.Charles, St.Louis Area, MO Furniture Store and Belleville, Shiloh, O'Fallon,IL area. Product availability may vary. Contact us for the most current availability on this product. 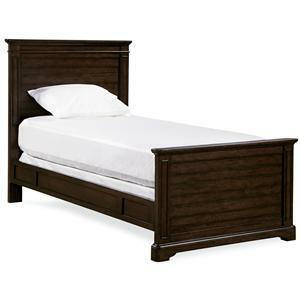 2391137 Guy's Reading Bed Headboard 3/3 1 43" 4" 58"
2391237 Guy's Reading Bed Footboard 3/3 1 43" 4" 33"
2391950 Bed Rails 3/3 4/6 1 76" 1" 7"
2391061 Storage Unit w/Side Rail Panel 1 20" 76" 20"
The Paula Deen - Guys collection is a great option if you are looking for Traditional furniture in the Lake St. Louis, Wentzville, O'Fallon, MO, St.Charles, St.Louis Area, MO Furniture Store and Belleville, Shiloh, O'Fallon,IL area. Browse other items in the Paula Deen - Guys collection from Mueller Furniture in the Lake St. Louis, Wentzville, O'Fallon, MO, St.Charles, St.Louis Area, MO Furniture Store and Belleville, Shiloh, O'Fallon,IL area.